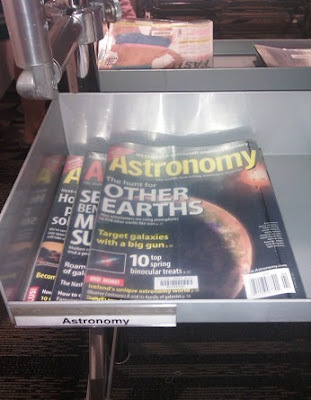 Back in June last year, I wondered what kind of astronomical magazines are available at Toa Payoh Public Library since it is the nearest to my house. This library is one of oldest in Singapore and was officially opened in 1974. Surely, I should be able find at least a few copies of such magazines. A quick check online revealed a shocking fact. Zero, zilch, nada! 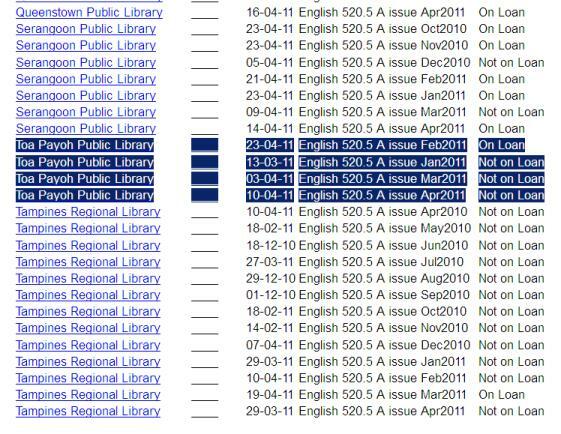 Perhaps it is too costly for every library to have one copy of Astronomy and one copy of Sky & Telescopes. 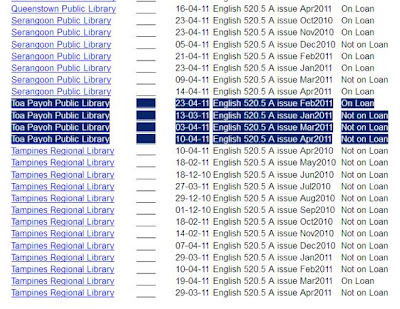 In any case, at least I have the option of reserving those magazines from other library branches for a small fee and have them delivered to Toa Payoh Library for collection. Kudos to NLB for the kind gesture of making this periodical available here and hopefully we will see "Sky & Telescopes - Toa Payoh Public Library - Not on Loan" soon!